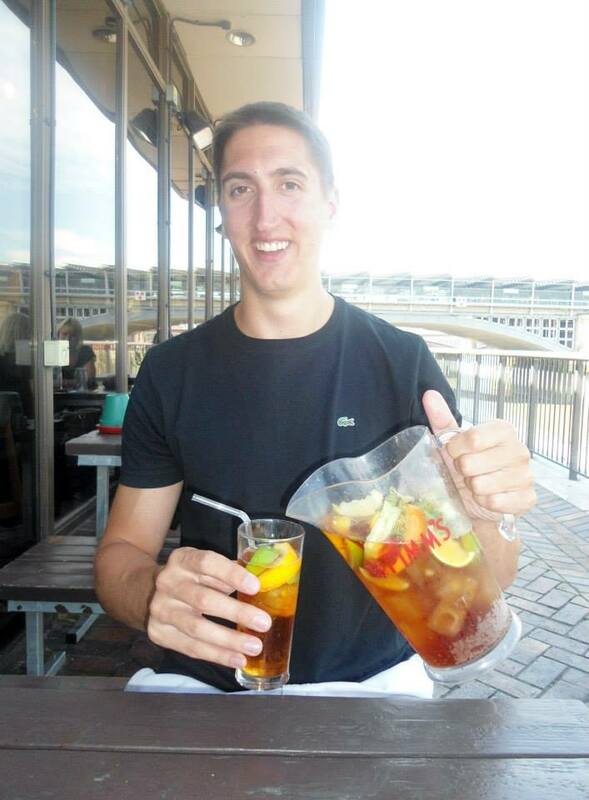 While I was in London I had my first glass (well it turned into a pitcher) of Pimms and lemonade. Usually when I am in England I am a strict real ale guy. However, it was a nice summer day and I decided it would be a good idea to try a traditional English summer drink. Pimms is a gin based liqueur usually served over ice or with lemonade (not still lemonade, more of a lemon lime soda something along the lines of sprite or seven-up) I was surprised at how much I liked the drink. It was very refreshing and made for a nice break as Gemma and I walked around London. If you are looking for a nice change of pace try a Pimms and lemonade for a refreshing summer drink.